Enjoy the pleasure of the Hammam as if you were there! The 100% natural body soap shower care. 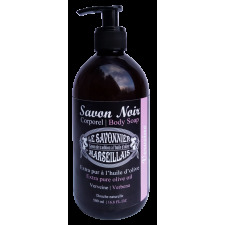 The Savon Noir body soap is a regenerating ancestral care, used for centuries. Soap your Savon Noir soap care and enjoy its exfoliating and nourishing smooth foam power on your skin. Olive oil Savon Noir soap,regenerating ancestral care, used for centuries. Natural shower with saponified soap made in cauldron with olive oil, very gentle for the skin. Bottle of 0,5 liter with dispenser pump cap, more easy to use, avoids waste. 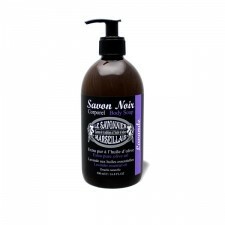 Lavender Savon Noir body soap with olive oil Shower with traditional lavender Savon Noir soap with olive oil. Escape guaranteed, lavender essential oil heady scent. Dispenser pump cap. 100 % natural, no added colorants and biodegradable. Olive oil shower care made using hot saponification method. Creamy and peppermint essential oil scent. Dispenser pump cap. 100 % natural, no added colorants or solvents. Olive oil traditional soap, orange blossom essential oil scent. 100 % natural shower, no added colorants or solvents and biodegradable.